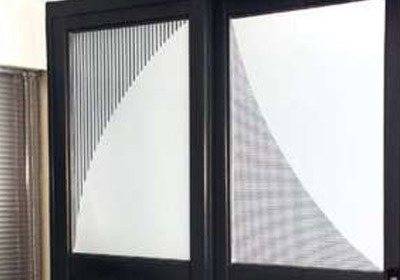 Our coatings offer the most technologically advanced solution to your aesthetic and security concerns, providing a level of visual enhancement and safety currently unmatched by any other window treatment. 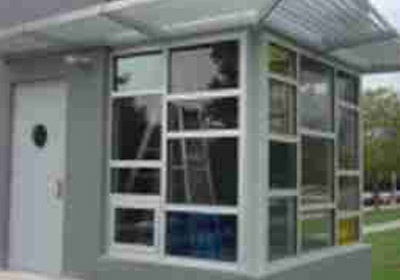 Sunshield's speciality coatings can create a visually stunning environment, while providing privacy. 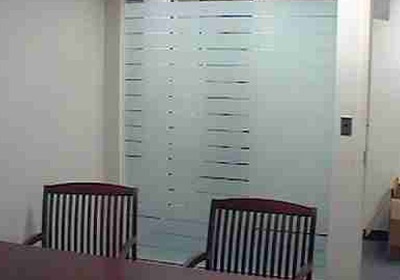 Our white frosted film provides an elegant look throughout the office and delivers privacy where needed. 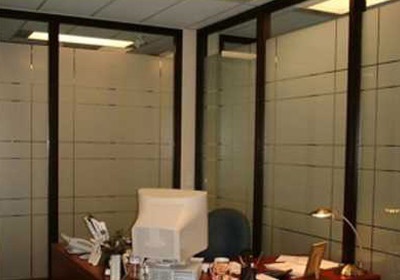 Interior office occupants can enjoy privacy while maintaining visual contact with the outside world. 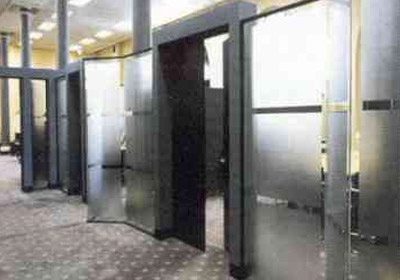 Privacy matte films are available in frost, bronze, silver, white, and black. 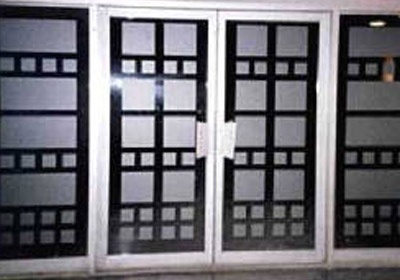 Our coating can give the glazing an attractive opaque quality creating a harmonious sandblasted appearance. Hand-crafted custom patterns can be created to your specifications. 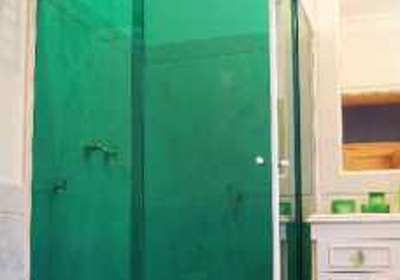 The coatings maintain an open ambience, while still achieving important privacy that is often required. 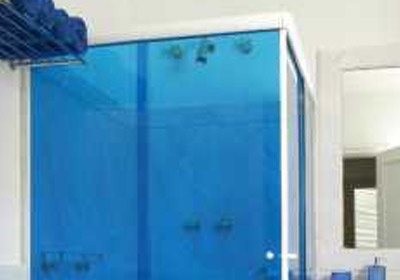 Our aesthetically dramatic coatings can instantly transform any environment quickly and effectively. A wide variety of colors are available. 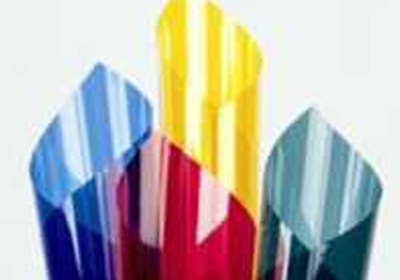 Transparent colored films are available in deep, rich hues, including red, yellow, green, and blue. 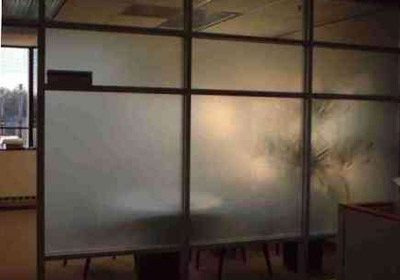 Patterned films can be combined to create a dramatic, eye-catching effect. 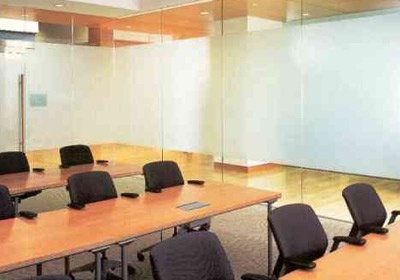 Hand-cut patterns can be created to customize offices, board rooms, and conference rooms. 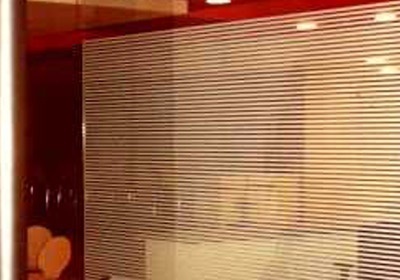 This pattern echoes the design and theme established in the company's reception area. 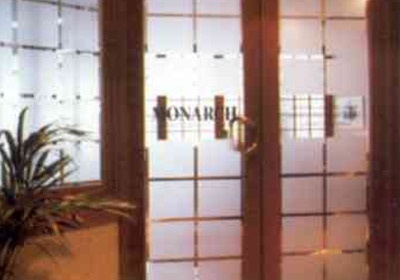 Decorative films can transform glazing into any design element. 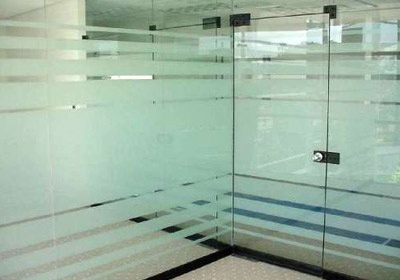 Patterned films are available in frosted squares, matte squares, frosted bands, frosted small dots, frosted mini dots, frosted stripes, and thin lines. 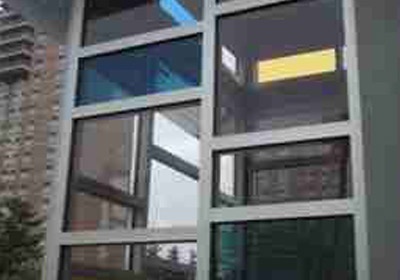 Design changes no longer require expensive glass replacement. 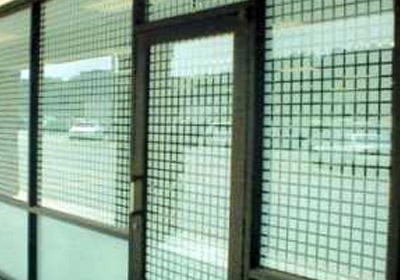 Our glass enhancement films can be quickly and harmlessly removed and reapplied to the changing needs of your environment. 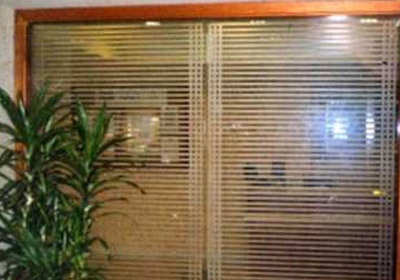 The Venetian-patterned film is visually appealing, thus eliminating the need for cumbersome blinds. This custom pattern was hand-crafted to the client's specifications. 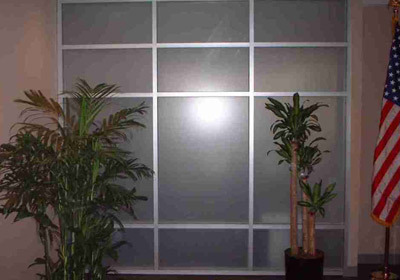 It adds a subtle, stylish and, effective level of privacy while also reducing glare.